Wondering what makes tyre maintenance essential for an optimum driving experience? The tyres on your vehicle play a crucial role in improving safety, handling and fuel consumption. It is the tyres that keep you connected to the road and maintain the vehicle’s stability. This clearly implies that with well-maintained tyres you can significantly improve the performance and safety of your car. However, this is an aspect which is usually overlooked and tyres are often taken for granted. If you are concerned about the safety of your tyres, you will be happy to know that just a few basic checks can make a huge difference. You can also be confident that your tyres will be able to take you smoothly even through difficult situations. So, how exactly can you be sure that your tyres are safe and ready to extend a comfortable drive? Read on to know simple ways that can make a real difference to the performance of your vehicle. Improperly inflated and damaged tyres can immensely impede the performance of your vehicle. Since tyres endure a lot of wear and tear it is important to perform regular checks every fortnight to ensure that your vehicle is equipped with the right set of tyres. From choosing the most appropriate tyres for your vehicle to regular maintenance, let us take a look at the various aspects of tyre safety. To start with, investing time in choosing the right set of tyres is as important as choosing a car. Always remember that the performance of your car will depend on the choice of tyres. If you are unsure, refer to the tyre placard in your vehicle to get valuable pieces of information about the air pressure, speed rating and load capacity. It will also help you understand the ideal wheel and tyre matches. You also need to consider your driving needs to figure out a tyre that best suits your lifestyle and vehicle. Choose tyres based on the terrain that you may encounter and your driving frequency to such locations. You may need a tyre which is highly durable and known for its longevity. Most tyres perform well in regular conditions but may be difficult to handle in difficult situations. This makes it necessary to go for a tyre that fits your needs perfectly. Tyres perform certain key roles and this makes tyre inspection and safety imperative. To enjoy a seamless drive, every car owner needs to be aware of the elements of a tyre that influence a vehicle’s performance. To make the task of regular upkeep simpler for you, we have made a list of safety checks that can go a long way in enhancing the life of your tyres. The tread of a tyre is designed to offer a good grip on all types of roads. However, as the tyre’s tread pattern wears, the ability of a tyre to offer good grip decreases. If you want to determine the condition of the tread, the easiest way is to check the wear indicator. All tyres in Australia are equipped with a wear indicator. These are raised bars at the bottom of the groove. 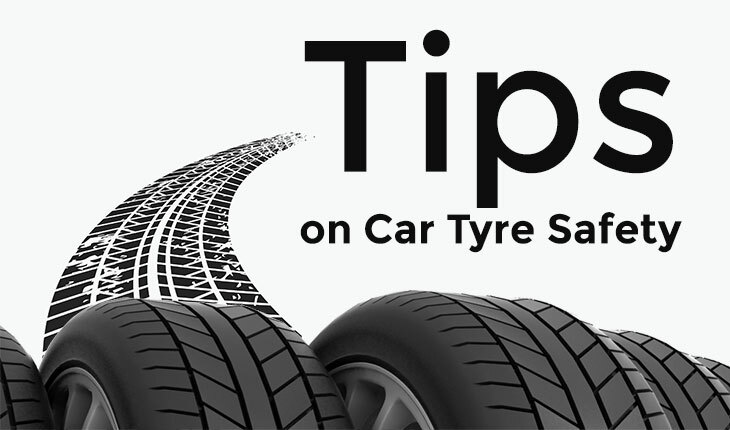 If you notice that the surface of the tread is in level with the raised bars, you need to get your tyres replaced. In this context, make sure to check all the tyres in your vehicle as tyres can wear differently. Are you aware that if a tyre is improperly inflated, it can wear more rapidly? For optimum comfort, fuel economy and handling, it is vital to maintain the right tyre pressure. With properly inflated tyres, the distribution of vehicle load is also optimised. Over-inflated tyres lead to poorer braking distance while under-inflated tyres wear excessively on the inner and outer edges of the tread. The inflation pressure cannot be judged based on a visual examination and a thorough check is required. The door frame of your car may have a placard with the recommended tyre pressure. The ideal tyre pressure depends on the vehicle and the load being carried. You can make use of a gauge to perform a quick check. With a few simple checks, you can prevent potential tyre damage and prolong the life of your tyres. Inspect the tyres for any signs that warrant their replacement. Check the sidewalls and tread of your tyre for any punctures, scrapes, cracks or bumps. If you notice anything unusual, get your tyres checked by a professional. Make sure to rotate your tyres every 10,000 km. The tyres that you choose for your vehicle must comply with the manufacturer’s specifications. The wrong choice of tyres can be the cause of premature wearing. To ensure that the performance of your vehicle meets your expectations, go for tyres that are perfect for your vehicle. In case, your tyre needs a replacement, the experts at Mobile Tyre Shop are here to assist you. At Mobile Tyre Shop, we can help you with all your tyre needs. We supply the world’s best brands and models of tyres at competitive prices. Based on your budget, driving style and safety requirements, we can suggest the best tyres for your car. Request a free quote and we will get back to you to book a time and location that best suits you. You can also Buy Tyres Online and Book a time. Our technicians will come to you to change your tyres. We are available from 7:00 AM to 7:00 PM on all 7 days of the week to assist you. Call Us on 1300 687 000.